The Greta Garbo Collection Flesh and the Devil Anna Karenina Anna Christie Camille 1926 - 406 min. 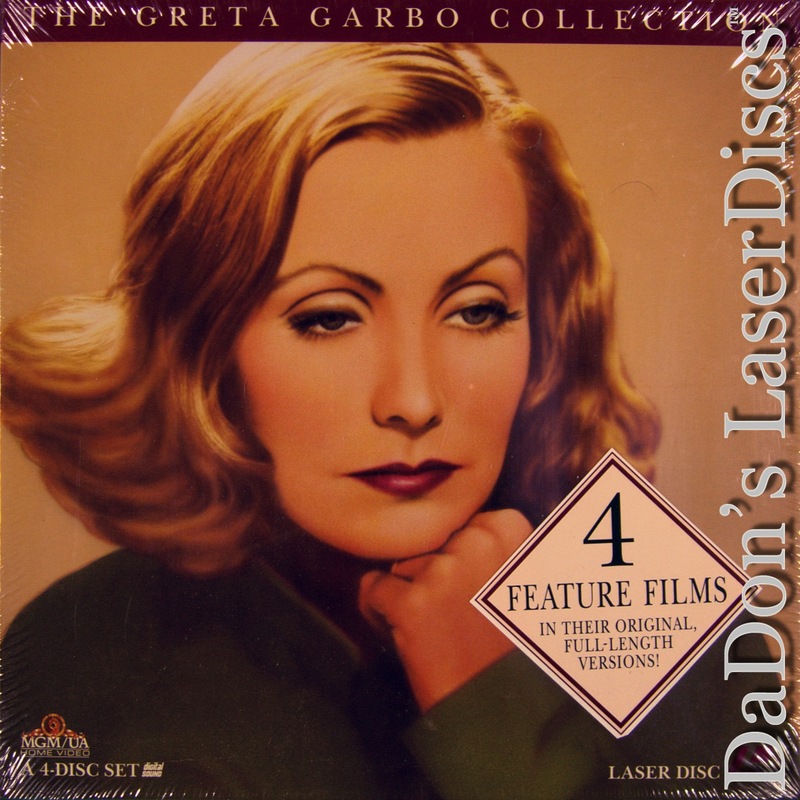 - Black and White Genre: Drama Not Rated Country: USA LaserDisc Movie Storyline: Greta Garbo and John Gilbert star in this classic silent melodrama about a love triangle between two boyhood friends and the amoral seductress who comes between them. Best friends Leo (Gilbert) and Ulrich (Lars Hanson) are cadets at a military academy when Leo falls madly in love with the gorgeous and aristocratic Countess Felicitas von Kletzingk (Garbo). However, Felicitas neglects to tell him that she has a husband who, upon discovering the affair, challenges Leo to a duel. Leo kills von Kletzingk and is sentenced to five years of foreign service in Africa. Felicitas promises to wait for her brave young lover, and Leo asks Ulrich to look after the grieving widow until his return. After three years, Leo returns to discover that his bosom buddy has married Felicitas in his absence. She rekindles her illicit romance with Leo but refuses to give up the comforts of married life with the now wealthy Ulrich. Determined to have them both, Felicitas drives the former friends into a deadly rivalry that culminates in a beautifully filmed finale that director Clarence Brown shoots almost entirely in silhouette. The use of inclement weather to invoke tragedy and mystery in the film contributes to the silent beauty of this MGM classic. Greta Garbo gives an incendiary performance as the smoldering femme fatale; she and John Gilbert supposedly began their torrid real-life affair while filming this movie. FLESH AND THE DEVIL, based on the novel THE UNDYING PAST by Hermann Sudermann, is a film that should not be missed.